Ringgit closed at 4.0670/0720 against the US dollar today. - NSTP/ ZULFADHLI ZULKIFLI. 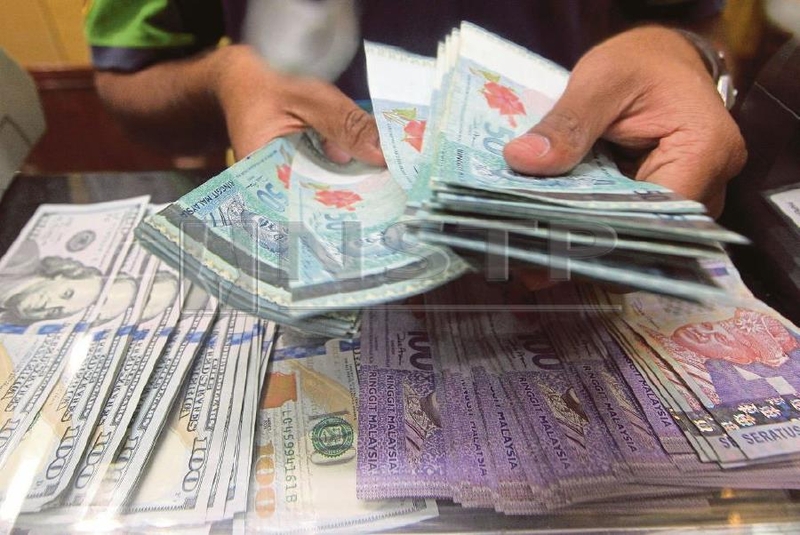 KUALA LUMPUR: The ringgit closed at a seven-month high of 4.0670/0720 against the US dollar, a level last seen on July 20, 2018, when it stood at 4.0600/0630, bucking the trend of its regional peers, aided by rising commodity prices especially that of palm oil. Today is the fifth consecutive trading day the ringgit has been on the uptrend, after hitting a six-month high of 4.0715/0765 on Thursday. Dealers said year to date, the ringgit appreciated 1.5 per cent against the greenback. In November 2018, physical palm oil price dropped below RM2,000 per tonne to RM1,973 per tonne, sparking concern among the industry which supports more than three million smallholders. As of today, the physical price for local CPO stood at RM2,190 per tonne. Back home, the ringgit was traded mixed against other major currencies. It strengthened against the Singapore dollar to 2.9988/9029 from Thursday’s 3.0017/0058 but eased against the yen to 3.7023/7079 against 3.7004/7059 yesterday.